Renowned as a city which can have up to four seasons in a day, if there’s one place where you’ll be needing a rainy day activity up your sleeve – it’s Melbourne. An institution in the city for good reason, the Australian Centre for the Moving Image is one of Melbourne’s best days out rain, hail or shine. Whether you’re checking out one of the fantastic exhibitions hosted throughout the year, watching one of the ACMI’s beloved film screenings or attending an interactive creative workshop, there’s never a dull moment at the Australian Centre of the Moving Image. 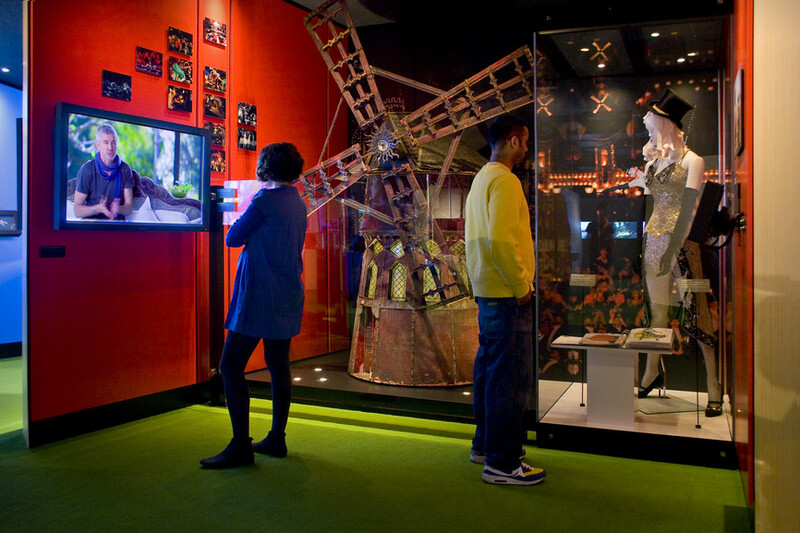 Be sure to visit Screen Worlds: The Story of Film, Television and Digital Culture, and permanent and free-entry exhibit, full of interactive displays and an impressive range of original objects and memorabilia from Australia’s film history. Conveniently located on Swanston Street in the CBD, Hardrock is Melbourne’s best indoor rock climbing outings. If you’re looking for something active, and still hesitant to renew your gym membership, Hardrock is a great place for a work-out. With day passes and beginners packages (which include a short crash course before you start) you’ll get the hang of things pretty quickly. Whether you’re climbing for the first time or are an experienced wall wrangler, with walls ranging anywhere from 6- 16 metres, Hardrock in Melbourne’s CBD has something for climbers of all different levels. Sure, you won’t enjoy the sweeping views of an outdoor climb but there’s still a huge sense of achievement when you reach the top. If there’s one thing that Melbourne does well, it’s cinema. 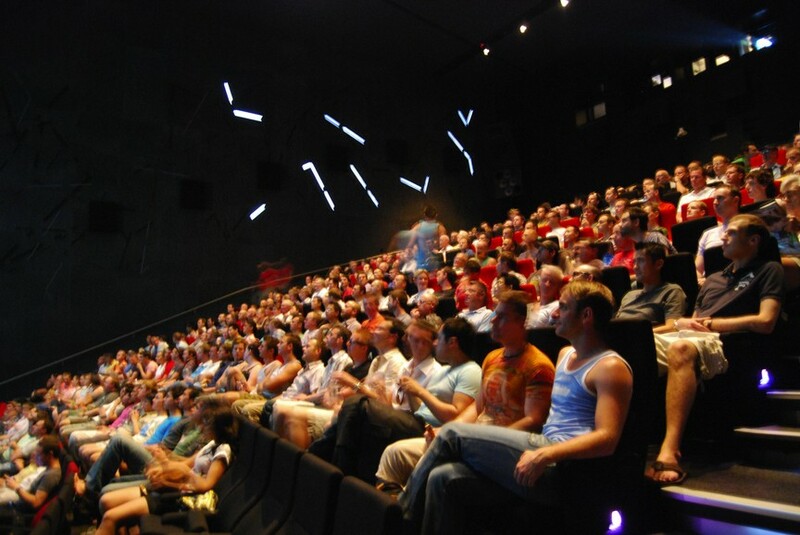 From new release blockbusters to foreign flicks and indie gems, you’re sure to find a movie that suits your niche at one of the many cinemas scattered around Melbourne CBD and its outer suburbs. For a more traditional experience, try the iconic Astor Theatre in St. Kilda which dates back to the 1930s. Adorned with art-deco and classical curtains, it’s easy to see why the Astor Theatre is considered one of Melbourne’s cinema greats. Palace Westgarth in Northcote is another great spot, hosting several international film festivals in its distinct and striking interiors which recently underwent a $4 million dollar refurbishment. Located on the Docklands, Medibank Icehouse is Australia’s largest ice sports and entertainment venue, just across the road from Harbour Town Shopping Centre. With free 15 minute lessons if it’s your first time skating, beginners will be brought up to speed and carving up the ice in no time. Suitable for all ages, Medibank Ice Centre is typically packed out with families and younger kids on the weekends, though the huge rink has plenty of space for punters all week long. If ice skating isn’t your thing, nearby Harbour Town contains two levels of laneway shopping and over 90 outlet stores to explore. Melbourne is a shoppers paradise during all weather conditions – but if you needed another excuse for retail therapy, take shelter from the storm at one of Melbourne’s many great shopping centres and retail precincts. Melbourne Central boasts over 300 shops, right in the heart of Melbourne’s CBD, from book stores, to fashion boutiques, to tech shops, and more. Just a few blocks away is QV Retail, one of Melbourne’s specialty shopping precincts – home to plenty of designer stores, restaurants and the city’s only full-sized supermarket. If you’ve got an umbrella handy be sure to check out Flinders Lane and Gertrude Street in Melbourne’s CBD, or head to Fitzroy, Chapel Street in South Yarra and Brunswick for some prime op shopping. If you head towards Lonsdale Street, the Emporium Melbourne is the city’s newest contemporary shopping experiences. Housing a huge number of iconic retailers including Uniqlo, Top Shop, Mimco, Sass & Bide, Nike and Zoo York, there’s truly something for everyone. Just next store to the Emporium is Australia’s first ever H&M store, making Lonsdale and Bourke Street two of Melbourne’s glitziest retail hubs. Another top-visited spot, Melbourne Aquarium packs out when it’s pouring down but the underwater exhibits and educational displays are one of the best ways to stay dry in Melbourne’s CBD. Home to the stunning Croc Lair and the world’s only display of Elephant Sharks in Bay of Rays, Melbourne Aquarium is full of interactive encounters with sea creatures, vibrant state-of-the-art displays and daily animal feeds. Fish aficionados and casual visitors alike will fall in love with Melbourne Aquarium’s colourful underwater displays and can spend hours strolling through the fantastic glass displays. This might be cheating, but if you’re not afraid of a bit of wet weather the Melbourne Botanic Gardens are truly stunning under a light rainfall. Cycling might be off the cards, but grab an umbrella, put on your best waterproof jacket and enjoy a stroll through the Melbourne Botanical Gardens. When you’ve covered the gardens, stop off at one of the city’s many great cafes and recharge with a hot chocolate and snack. The Melbourne Botanic Gardens are conveniently located in the heart of the city, meaning you’re only a stones throw away from a huge range of restaurants and cafes to dry off at. To add a touch of class to your rainy day, book an afternoon of luxury at one of Melbourne’s many great high tea spots. Whether you’re a ribbon sandwich person or you’ve got a sweet tooth, there’s plenty of varied offerings of high tea in Melbourne. For a traditional fare, The Langham hosts one of Melbourne’s most celebrated traditional fares. Hopetoun Tea Rooms also offers high tea in a beautiful heritage setting, while The Windsor on Spring Street has been serving up traditional treats, coffee and tea since 1883. For some inspiration on some of the best spots to partake in a bout of high tea check out Webjet’s best high teas in Melbourne. 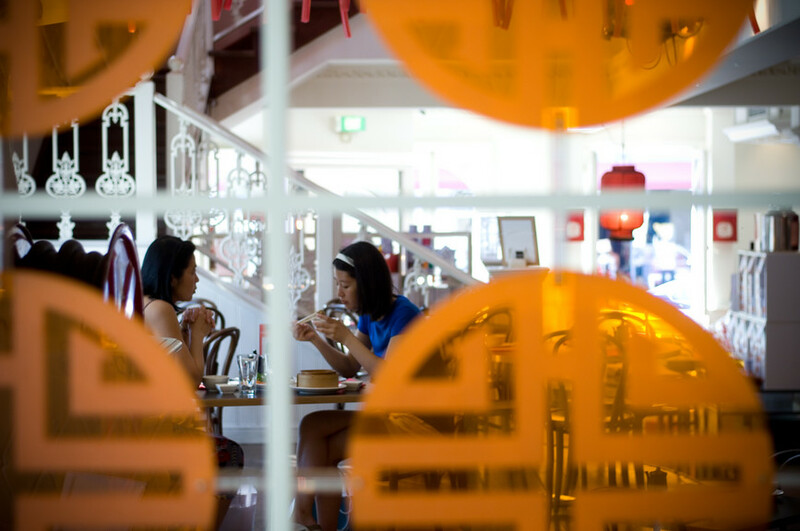 If cakes and scones are not your scene, head to Chinatown and indulge in green tea and dumplings at one of Melbourne’s many delicious yum cha spots. When it’s cold and rainy outside, there’s no better way to warm up than by filling up on dim sums. Melbourne is a city brimming with activity and a bit of rain can’t ruin any the fun. Nature hikes might be out of the question, but there’s still plenty to see and do in Melbourne’s CBD and surrounding suburbs. To book accommodation in Melbourne and find out for yourself, check out Webjet’s range of Melbourne hotels.